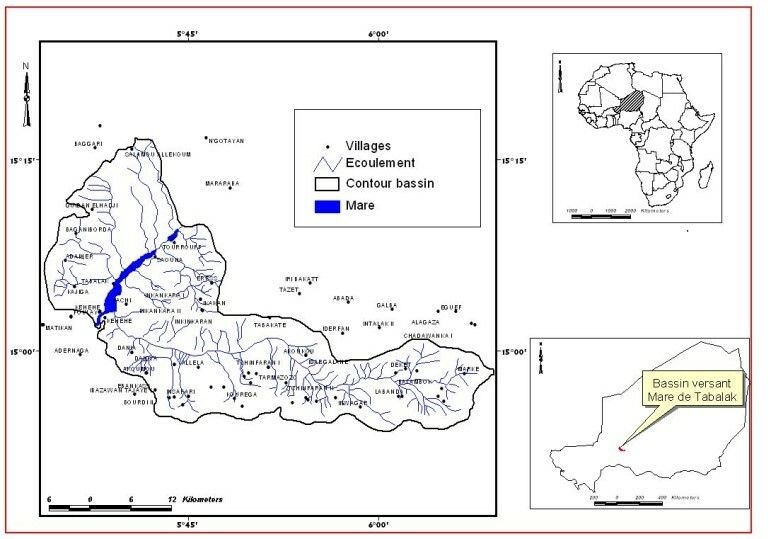 The target landscape selected for COMDEKS activities is the area surrounding “La Mare de Tabalak,” a natural freshwater lake located in the central South-Western part of Niger. The selected area spreads across 3,557 hectares through the Tahoua region. The ecosystem surrounding Tabalak is a remarkably verdant and beautiful wetland habitat surrounded by an arid landscape, and is one of 12 critical wetland systems in the region. Due to its unique geo climatic position, this area plays a vital role in local socio-economic production which is dependent on the availability of fresh water, and is an important habitat for a diverse range of flora and fauna. Currently, this key region is facing threats of accelerated degradation due to pressure from unsustainable agricultural practices and increasing variability in climate, and there is a notable decline in plant and animal biodiversity. Additionally, high incidence of poverty and poor sanitation contribute to serious health risks for the local community. As a wetland in an otherwise arid environment, the area surrounding Tabalak Lake plays a critical role in maintaining biodiversity. It is home to many species of flora and fauna, most notably as a key habitat for migratory birds of the Western Palearctic. It is an important transition area for the crowded crane (blearica pavonica), a species that is rare even in other parts of the country and which is now endangered largely due to habitat loss. Deforestation to meet local energy needs, overgrazing by livestock, and clearing of the habitat for agriculture, combined with incidence of drought, is leading to erosion, degradation of soil quality, and the loss of biodiversity in the region. The total population within the target landscape area is approximately 41,958 inhabitants, and is comprised mostly of Tuareg and Hausa populations. Primarily, the socioeconomic activities in the region are focused around fishing, agriculture, and livestock breeding. However, with increasing environmental degradation, these activities are becoming increasingly unreliable as agricultural productivity falls with erosion and drought. Furthermore, poverty is prevalent throughout the region, with 71% of the population classified as “poor” and “very poor.” There are few systems for sanitation in place, and garbage and human waste is often disposed of in the open air, leading to serious health risks. Community Consultation during the baseline assessment. 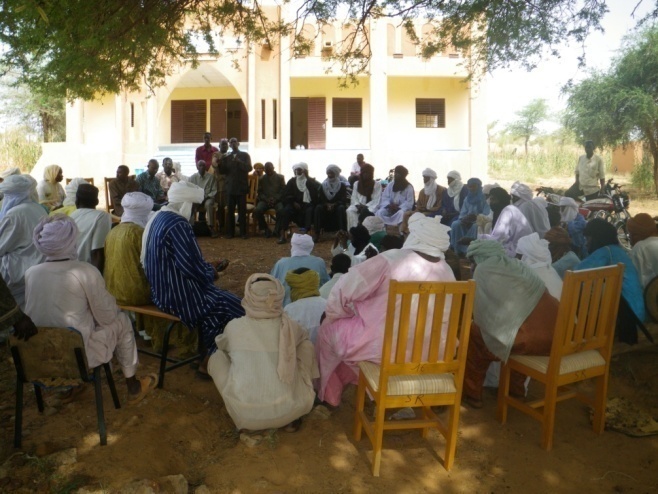 A baseline assessment was conducted in order to mobilize local community members, stakeholders, and government representatives in evaluating the condition of the target landscape and collaborating on the development of a landscape strategy to enhance the resilience of the area surrounding La Mare de Tabalak, and communities living in the area. 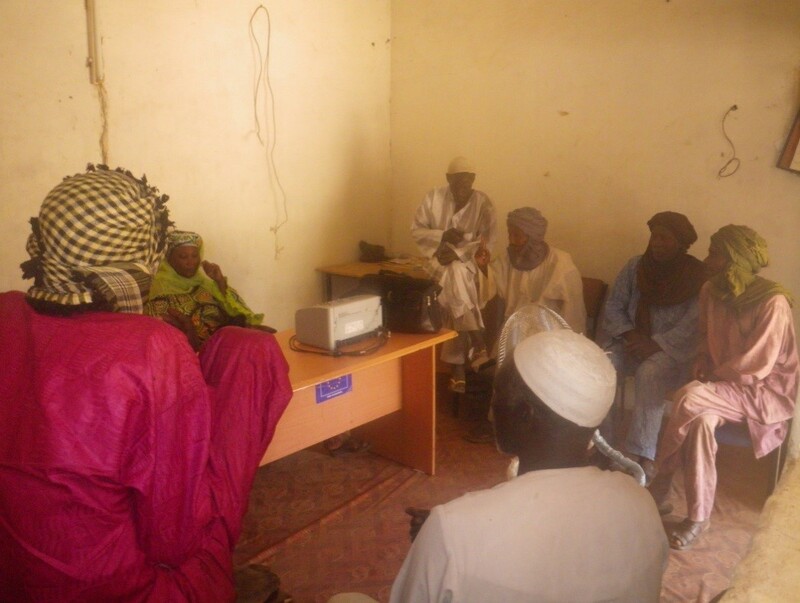 An initial meeting with local leaders was held in October 2013 in the town of Tabalak, and the community was invited to participate in a mapping exercise to identify key components and vulnerabilities of the socio-ecological landscape. 150 stakeholders, including community leaders, members of the rural population, and the mayor then participated in seventeen workshops where participants used the SEPL indicators to evaluate the condition of the target landscape. A landscape strategy was developed based on the results of the focus group discussions and results of the scoring exercise. Local farmers were consulted during the baseline assessment in Tabalak. The restoration, protection, and sustainable management of the local environment. The increase in fish diversity and fish production in Tabalak Lake. The improvement in welfare of the community through the creation and diversification of sustainable income generating activities. The strengthening of local institutional capacity for rational and sustainable landscape management. Supported projects for COMDEKS activities in Niger will focus on strengthening the productive capacity of the landscape, for example through conservation and land restoration efforts. Projects can focus on the application of environmentally sustainable mining techniques, as well as the creation of other income generating activities. Given the degradation of the ecological landscape, COMDEKS will also promote programs that aim to diversify farming practices, for example through mulching, the introduction of improved seeds, conservation agriculture, and the improved management of rainwater and irrigation. Additionally, supported projects will focus on the management of invasive species threatening the local ecosystem. To learn more, please download the COMDEKS Country Programme Landscape Strategy for Niger (in French) here. The Tabalak lake, a natural freshwater lake with a surface of 3,557 hectares, is located in the Tahoua region and is one of the 12 ecosystems registered as a Ramsar site. Located in a climatic transition zone between the Sahara in the North and the Sahel in the South, the lake faces an increasing threat of natural resource degradation due to changing climatic conditions. Due to its unique geo climatic position, the area plays a vital role in local socio-economic production and is an important habitat for a diverse range of flora and fauna. However, environmental challenges including decreased rainfall, overgrazing, an increase in invasive species and land siltation, have affected the ecosystem and biodiversity, both in and around the lake. Along with this, fodder species which are a basic resource for stock breeding and a primary economic activity in the area, are now under threat. In order to mobilize local community members and encourage participatory management, fishermen in the community were interviewed during the baseline assessment. Interviews were held with local women to gather information on local small scale farming activities. Interview with local men in the community during the baseline assessment. Based on information gathered during the baseline assessment and community consultations, COMDEKS projects aims to increase socio ecologic services in the area through agreed and sustainable management of the productive ecosystem. COMDEKS interventions have diversified farming practices through the introduction of agro forestry techniques, mulching, improved seeds, conservation farming, and the improvement of rain water management and irrigation. Project activities also work towards the recovery of degraded land, reducing siltation and sedimentation of the lake and the invasion of prolific plant species. Fishermen have been encouraged to adopt traditional methods of fishing and are simultaneously trained to use some modern equipment. Community consultations focus on capacity building, the construction of diverse infrastructure, improved access to basic services (water, health, education) and are integrated with the project objectives. The living conditions of social groups within the area have improved, through the creation and diversification of income generating activities in a clean and health environment. Successful experiences from Niger in piloting the community-based landscape management approach will be used as a model for replication and up scaling in other parts of the world. Knowledge products, such as case studies and video documentaries will help disseminate learning.